When ever we used to visit a restaurant, there would be a common order, like Butter naan, Butter Chicken and for vegetarian dish it would be either Palak Paneer or Aloo Palak. This has been coming from my childhood days. But now the items in the order have changed because of the new restaurants budding everyday, and elaborated menus. I always thought that preparing Aloo Palak is a tedious and a long process, till I came to know about the recipe, and it looked very easy and no-fuss type. I made this for dinner yesterday and served with some hot rotis and it was a hit! Boil spinach and Keep aside. Take oil in a small Kadai and fry onions, green chilies and ginger garlic paste. Blend them to a fine puree, along with boiled spinach and keep aside. Heat ghee in a wide pan, fry cumin seeds and add spinach and onion mixture. Boil covered on low for 5 mins. Now add the potatoes, garam masala, coriander-cumin powder, salt and water if needed. Boil for few minutes till the potatoes absorb the flavor. Serve hot with hot rotis or jeera rice. Its even perfect for children as it is low in spice levels. 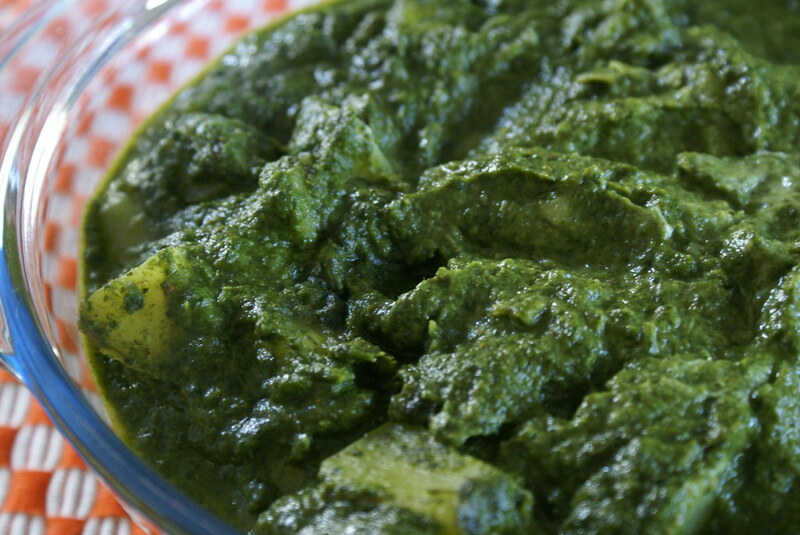 I made this same recipe but not boiled the palak but crush it so its color looks fresh green. You can see on my blog. Keerths… Thanks ra, post ur recipe soon! Kajal, you recipe looks delicious too, next time i will try ur version! V, It was indeed a treat! Maninas, May be you can try this next time, Iam sure you will love it! Archana, Thanks, and yes it was! Hey Cinnamon, that looks great! I like Aloo Palak too. That green colour is very inviting! Lovely pic! Sunita, Spinach is my fav too!! Hi Cinnamon, looks awesome. I love this combo very much. I have aloo and palak in freeze. Tomorrow only i will give a try of your version. Thanks for sharing. I just got your URL in my blog roll! healthy & delicious! I love Spinach…it is so versatile. Very nice color and texture! looks great. you added cream too, must be tasting divine. Hi Cinnamon..evn I have made aloo palak today what a coincidence! But my recipe is different frm urs, I will try yours the next time I make it. I love the thick gravy…and must be tasting really good. Priyanka, Thanks, and it was pleasure sharing with everyone! Jyothi, do let me know how you liked it! Neelam, I will try ur version too!! Oh my Cinnamon!!! 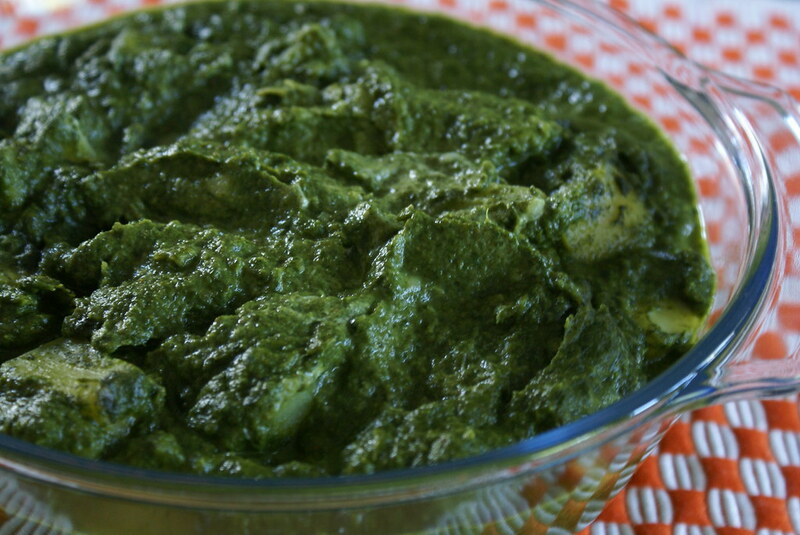 what a perfect looking Alll Palak u got in there…. Yummy is all I can say!!! !